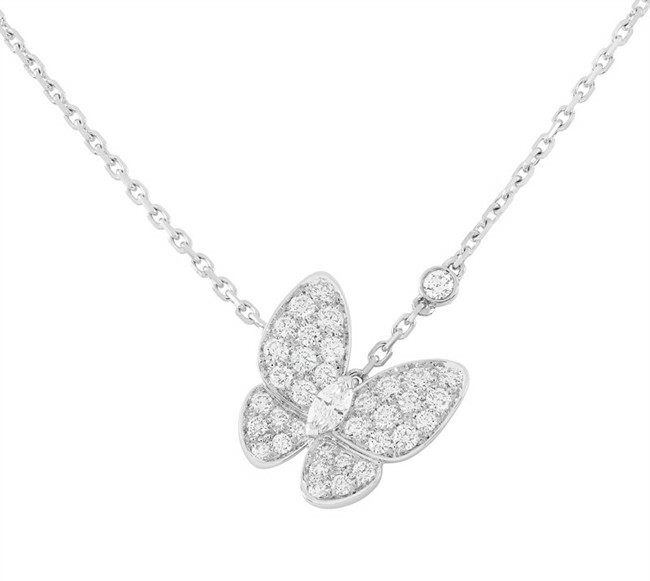 Lightness and femininity might be thought of as the two butterflies of the Van Cleef & Arpels Two Butterfly jewelry collection. 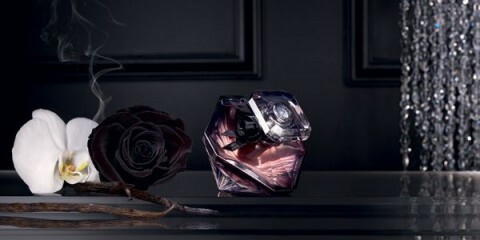 Perhaps is it grace and beauty instead? 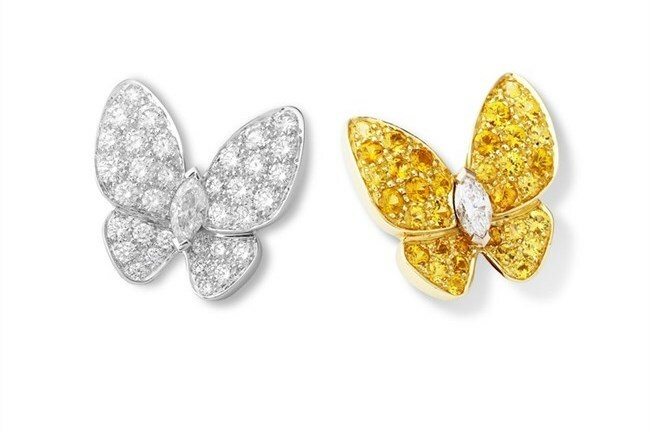 Whatever the case, the butterfly is a cherished trope in Van Cleef & Arpels’ oeuvre and the Parisian jeweler revisits it in the Two Butterfly collection, which as the name suggests, features highly detailed and dazzling miniature sculptures of butterflies, quite often in pairs. 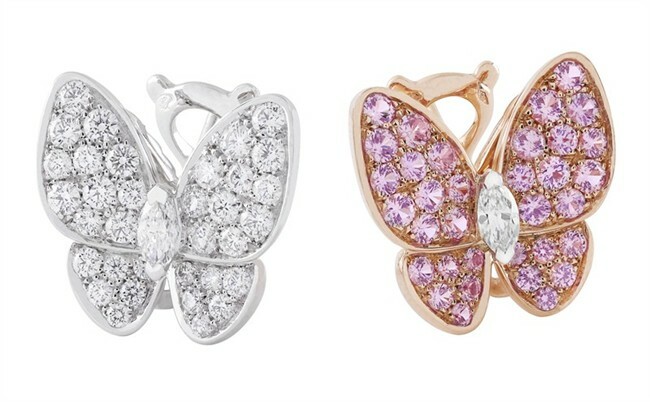 A prime example of course are earrings, which usually do come in pairs, but also the Between the Finger Rings. 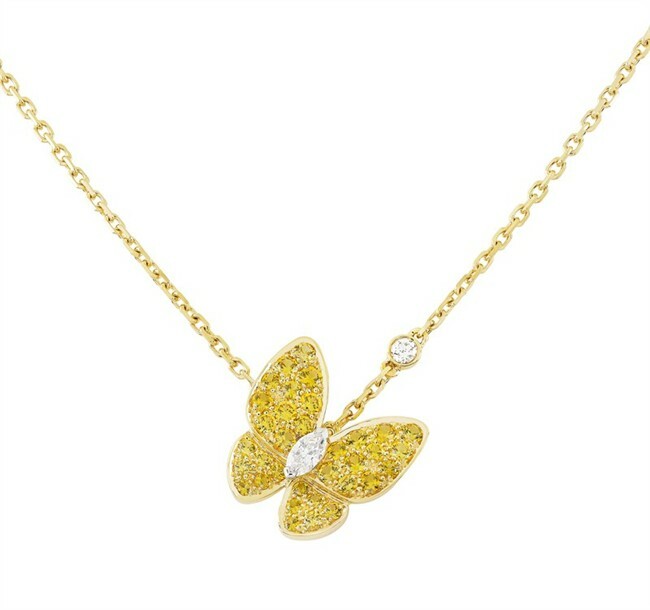 We especially like this trademarked creation from Van Cleef & Arpels. 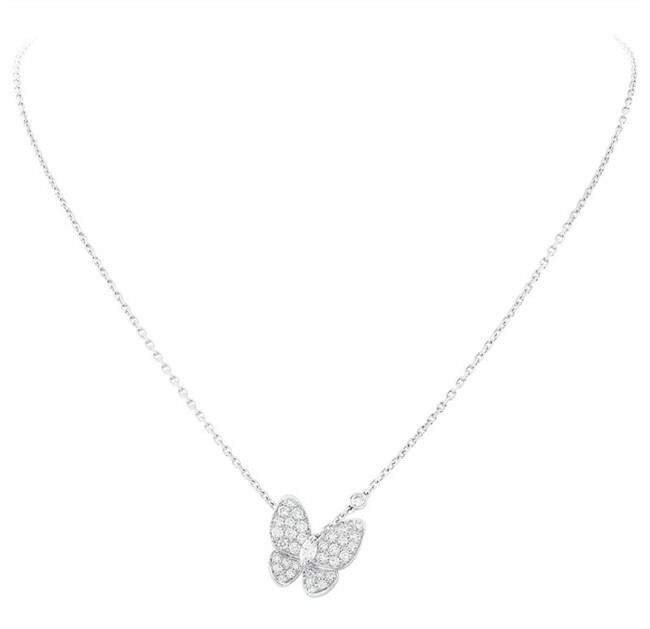 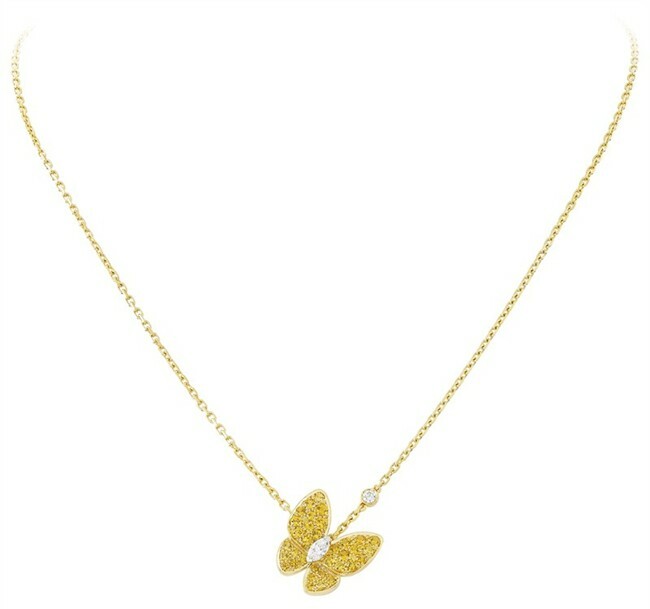 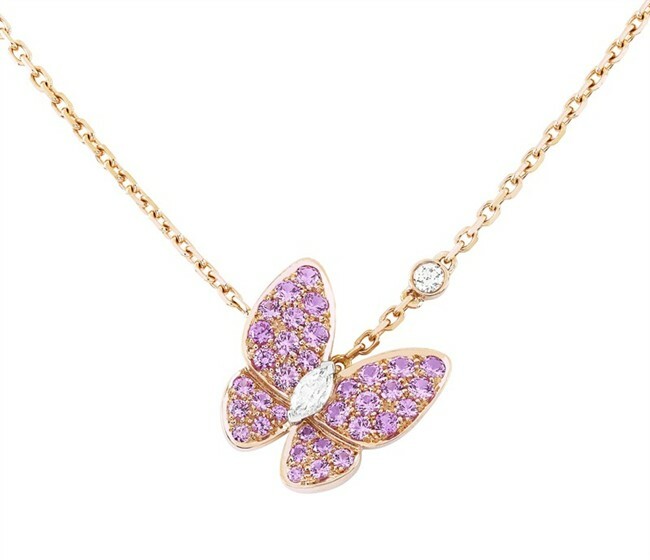 Besides these, the Two Butterfly collection also features necklaces. 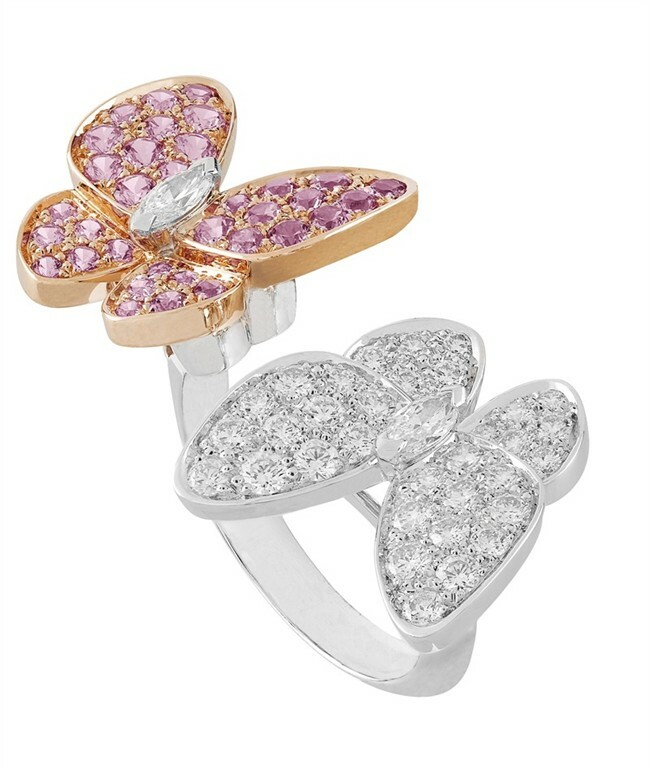 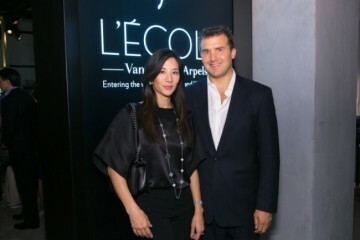 As an aside, we commend Van Cleef & Arpels for mixing materials here and choosing matching colored gemstones (pink sapphires for pink gold, and so on). 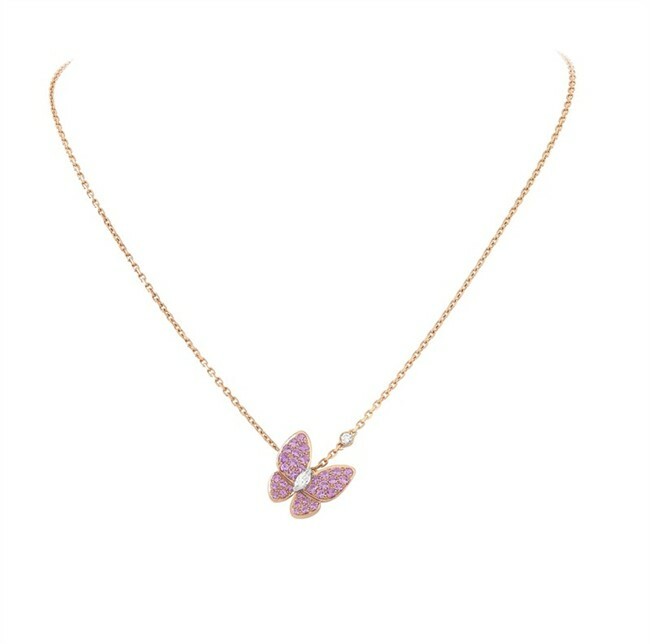 Scroll down for more pictures and details in the captions.